Through our Community Ministries programs, we are resource-providers, advocates, and educators who strive to provide intentional community where there is none, actively love when it is hard, and live across classes and cultures as Christ has called us to do. We strive to empower and equip those struggling with mental illness, addiction, and homelessness to be dependent on God, independent in their self-care, and interdependent on the community around them. This unfolds in a number of ways in and around our bustling West 80th Street building. On Sundays, you’ll find men and women gathered for Bible study at 3:45pm, worship at 5pm, our community meal at 6pm, and overnight shelter. On Tuesdays and Thursdays, our doors are open for hot showers, meals, mail service, and comprehensive medical and psychiatric care for all who are in need. On the days in between, our staff and volunteers are actively engaged in reaching and caring for the poor and oppressed among us who are so integral to the life of the church and the depth of our community. We desire shalom – peace, harmony, wholeness, completeness – for all in our community. In some cases, we are able to support and encourage men and women who are homeless on their journey to restoration. We rejoice in God’s provision for them. However, in many cases, we consider our work a success when our friends are fed, warm, sheltered, and loved, for however long they are a part of us. This work is messy, challenging, and at the very core of our desire to be a community of disciples transformed by Christ’s overflowing love. We welcome you to join us for practical, compassionate care; spiritual formation and encouragement; and radical community through one or more of our community-focused programs. 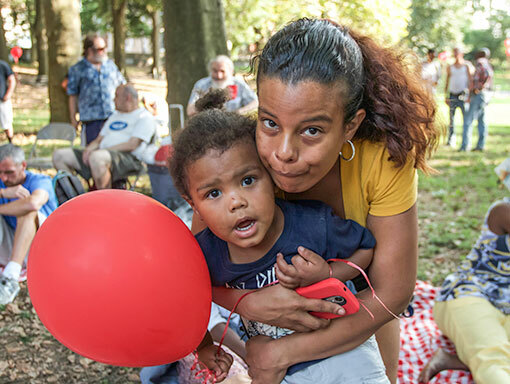 Through this program, All Angels’ ministers to the basic needs of individuals living homeless or in extreme poverty through a light breakfast and lunch; showers and fresh clothing; mail service; and medical, psychiatric, and social services. 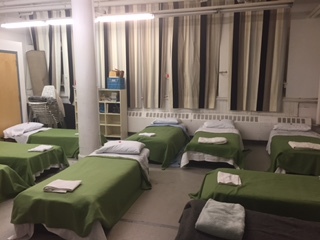 Our Sunday night emergency shelter is privately run by All Angels’ Church. We provide guests with a hot, nutritious dinner; showers, beds, and linens; toiletries; and eight hours of sleep in a safe, clean, and quiet environment. We welcome up to 13 women and 25 men on a first-come, first-served basis. 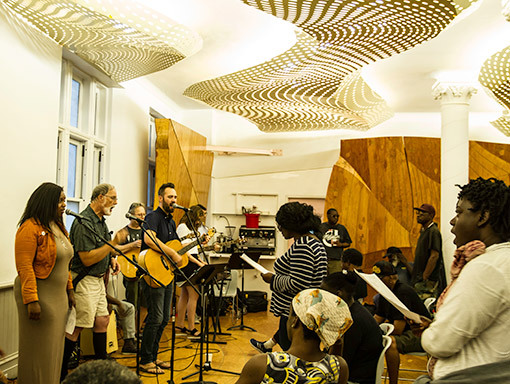 Our 5pm gospel-oriented worship service is inter-racial, inter-generational, and socio-economically diverse. Following the service, a hot meal brings together the homed and homeless as we break bread in a beautiful and hospitable atmosphere. We consider this meal an extension of our evening worship as we feast with gratitude and thanksgiving. 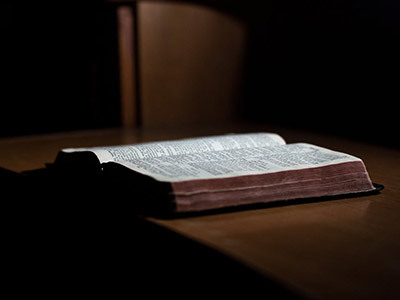 Those staying in our Sunday shelter and attending our 5pm service are invited to join us for Bible Study each week. Together, we learn how to express ourselves without fear of judgment, to identify our personal strongholds through the lens of the gospel, and to commune with God and others. 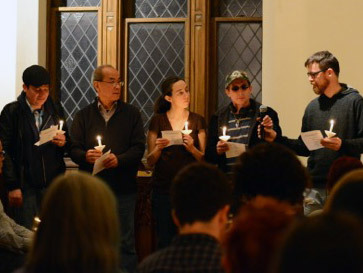 Through art events, annual Christmas and Thanksgiving celebrations, vigils and memorials, and more, we invite those within and beyond our community to break down barriers, give a voice to the voiceless, and make visible the invisible. Details will be posted on our homepage at the appropriate time.